Flower Mound Family Health Center (Flower Mound) - Book Appointment Online! Doctor Seysan is a family doctor in Flower Mound devoted to personal, comprehensive health care for individuals of all ages. As a primary care physician Dr. Seysan promotes preventive medicine by recommending vitamins, exercises and diet, and well as the use of prescription medications as needed. 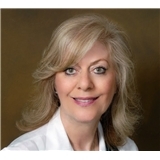 Dr Seysan's goal is to provide a warm and compassionate environment for a complete family care. She hopes that her excellent service will make her practice the number one choice for residents of this area who are looking to find a caring board certified family physician for all members of their family. Dr Seysan offers comprehensive and continuing care for patients, promoting good health through education and prevention. Smoking cessation and weight loss programs are useful tools she provides for her patients. Dr. Seysan is excellent. She truly cares and shows concern and dedication to my family and myself. Her staff is helpful and flexible. Highly recommend her!